Diageo has looked to replicate the success of its hip-hop vodka Ciroc by launching a new spirits brand in conjunction with Pharrell Williams, the US music star. The global drinks company launched Qream, an ‘ultra-premium cream liqueur’, at a party in Los Angeles last night. The launch represents an effort to woo female drinkers and replicate the success of Ciroc, launched in collaboration with hip-hop star Sean “P. Diddy” Combs in 2007. P.Diddy has a profit-share agreement with Diageo over Ciroc and the brand has seen sales rocket since launch. Figures released in February showed sales volumes had more than doubled year-on-year with 600,000 cases sold in the first half of Diageo’s financial year. Diageo said Pharrell – who is widely known by his first name – had helped the company conceive the taste and bottle design for Qream, a cream liqueur which comes in two flavours, strawberry and peach. The company said it was trying to attract female drinkers in the US and pointed to figures showing that one in three drinks sold today are consumed by women. Diageo said women were also responsible for two-thirds of all alcohol purchases in shops and supermarkets. 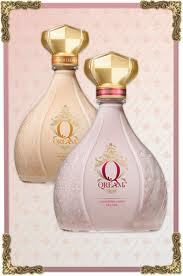 “Women make up half the population and Qream is about celebrating that power,” said Pharrell. “To work with Diageo in bringing something original like Qream and the notion of delicious living to market has been a thrill”. Pharrell was named ‘Producer of the Decade’ by America’s Billboard magazine last year and has sold over 100m records. He is part of the production duo The Neptunes and a rock trio N.E.R.D. Like P.Diddy, Pharrell also has his own clothing lines and deals with Louis Vuitton and designers Domeau & Peres.